Located in Columbus, OH, AAACare Columbus caregivers provide respite care for caregivers throughout the greater Columbus, Ohio area. Life is hectic – especially for those raising families while caring for an older parent or family member. 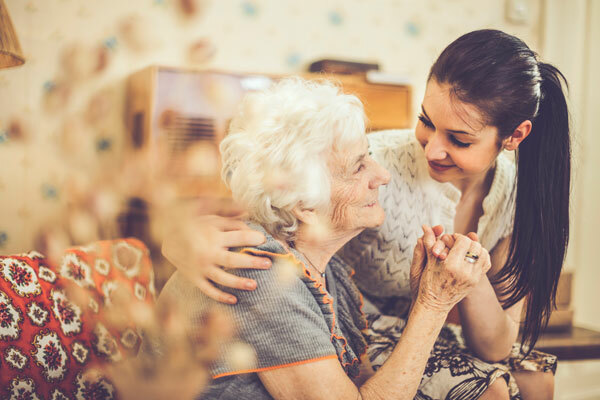 While caring for a loved one can be rewarding, assisting aging family members or friends daily can be a physically and mentally demanding job. It is important as a caregiver to take breaks when needed to rest and recharge. AAACare employs highly-qualified and compassionate caregivers throughout Columbus to provide flexible respite care relief when those much-needed breaks happen. Our caregivers can step in and provide the necessary care and allow you to take time for yourself to rest, go to work, or spend time with your family and friends. Our respite care services provide caregivers the time necessary to help you gain a new perspective, allow for a better attitude, and provide an overall better life balance. As the primary caregiver, we advise you to plan ahead to maximize the benefit of this relief period. As a caregiver, it is important to take care of yourself as well. Take a look at the many benefits of our respite care services we can provide while you take a moment to recharge. Relaxation is defined as the state of being free from tension, stress, and anxiety. Respite care is intended to provide exactly this. Relaxation is essential for mental and physical health and is necessary for living your best life as a caregiver to a family member or friend. Taking a walk, visiting a museum, or engaging in leisure time activities can calm you, decrease your heart rate, and improve your mood. Enjoy your time away knowing your loved one is in good hands. Listening to your body is key in restoring the energy you need to maintain the level of care you are providing your loved one. Attempting to push yourself beyond your capable energy levels can lead to a plethora of issues. Running on empty is not beneficial to the loved one you are caring for. To be effective as a caregiver, you must take time to re-energize and refresh your mind and body. Through AAACare’s respite care services, you can take a moment to rest and recharge while your loved one receives excellent care. You are important, too. Self-identity is key in living a meaningful and valued life. Self-identity can become compromised when you are diligently caring for a loved one. Maintaining a strong self-identity allows people an opportunity to live to their full potential. In addition to providing care, you may be a parent, spouse, friend, or co-worker and finding time to balance these roles while maintaining your sense of self is crucial to your overall well-being and ability to function effectively and happily. Find time to realign with who you are by working with AAACare’s caregivers to schedule breaks for yourself. Time away from caregiving will allow you to refocus your thoughts and energy while centering your perspective. Caring for a loved one can feel all-consuming and overwhelming at times. It is a lot of responsibility to shoulder on top of your other tasks. Prevent overexertion and regain perspective by allowing one of AAACare’s trained and experienced in-home care professionals take over for a while so you can relax.